Who is the Best Personal Development Coach? 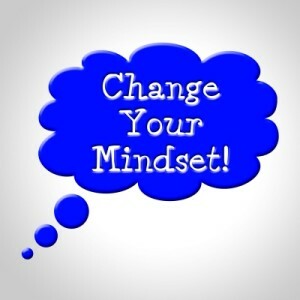 Home »Blog»Who is the Best Personal Development Coach? We were on Facebook yesterday looking at the comments in a high-level marketing group. Not surprisingly, many people suggested Anthony Robbins as being the ‘go to’ guy for personal development. Oprah’s First Lifeclass with Tony Robbins – Changing Your State. However, as the discussion progressed on Facebook, there was a heated debate about the actual teaching practices of Robbins, with one guy (a personal development teacher himself) being particularly critical of Tony’s teachings. “OK the idea of Neuro Associative Conditioning. Take a bad state and overpower it with a super positive state. An idea ripped off from old NLP techniques that we adapted from a 1950s idea that the brain is like a computer and can be reprogrammed. The result. You end up not being able to do anything unless you feel really good. You end up more fragile and paralyzed than ever, instead of being more resilient and able to function even if you do not feel great. Then there is the idea of peak states. Another 1970s idea that all you need to do in order to overcome resistance is get into a peak state. The problem is that peak states are just as isolated when it comes to brain function as fear. Any over amplified state triggers the re-active part of the brain and shuts down the creative part of the brain. The result is you re-act just as poorly, but feel better about it. Interesting thoughts that will irritate some but resonate with others. Do ANY of them know HOW to teach? The thing is, it doesn’t matter whose name you throw into the ring with this, the problem you have with the vast majority of personal development coaches is that they teach from the perspective of already being a success. True, many of them (including Robbins) have worked their way up from the gutter and so, in theory, they should know what it’s like for those people being taught. 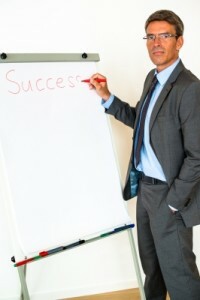 These success gurus are missing one crucial element……. They obviously all had the right mindset in order to get themselves to their current level of success. However, NOW they are trying to teach people (the vast majority of whom just don’t have that ‘natural success mindset’), how THEY themselves arrived at success. It’s just NEVER going to work. …..and THAT is why the personal development industry isn’t as successful as was being suggested in that group of successful marketers. In fact, the personal growth industry has a shocking success rate (we are ashamed to say it because we are part of that same industry). 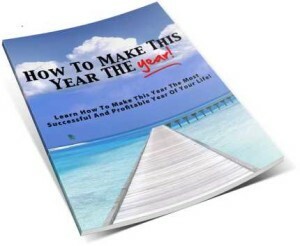 Become a total business success by just working 4 hours per week. Burst out of their shell with total confidence. Find that perfect fulfilling relationship. And live happily ever after etc. etc. etc. 10000s have gone through Robbins (and others) seminars in the past 20+ years, but how many people have REALLY made a difference to their lives following those teachings? Of course, the usual argument is that the seminar attendees have just ‘not bothered to take action‘. In actual fact, the coaches (Robbins or anyone else) have ‘assumed’ a level of motivation and a success mindset already hiding within those being taught. But consider this: If those attributes were already within those people, then many would probably have already found ‘the golden key’ to unlock the door of success. 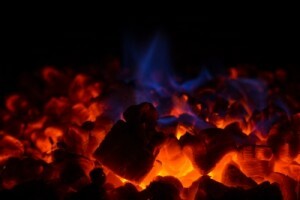 Skipped across the coals of Tony Robbins’ fire-walk (We have). Felt like they could tear down trees with their bare hands (We did). and then 3 days later are back to square one and totally deflated? (Yep, us too). We seem to recall that even Robbins himself acknowledges this post event ‘come down’ to be an issue for his own seminar attendees. Then, of course, there is self-sabotage. We all do it to varying degrees, but none of the personal development teachers really cover this point, let alone provide an answer to the problem. Find a strong enough ‘reason why’. ……and that will apparently get you through the tough times. …….in order to make deep and lasting changes. The above hints at where we are going with this (and we have mentioned this before)……. You can’t bake a cake with just one ingredient. Similarly, you can’t expect personal transformation with just one method of personal development. The list of people mentioned above teach, at most, just two methods of personal growth. That’s just not enough. You need a whole suite of tools (Goal-setting, Time management, EFT, Hypnosis, subliminals, visualization, motivational skills, NLP, meditation etc.). As much as we love and respect guys like Tony Robbins, Christopher Howard, and others who play the personal development seminar circuit, they are teaching to a mass audience. And therein lies a problem…….. In that format they are giving the SAME message to 5000 DIFFERENT people, at what becomes little more than a pump-up event. Basically, it doesn’t matter WHO is teaching it, to achieve really successful personal growth, coaching needs to be individual…. because WE are individuals. Tell us WHY you rate that person so highly. Tell us what qualities you think makes a great personal development coach. Wayne Dyer. He brings forward many ideas from all aspects of understanding,motivation and change. Yes, he certainly does Jim.